Perhaps this isn’t the most important detail in this story, but did you notice the details included about the animal Jesus chooses to be his ride into Jerusalem? Here is a young animal that has never been ridden. From what I have seen about donkeys, they aren’t exactly the most cooperative animals and a young one that has yet to be “broken” would be especially uncooperative I would think. 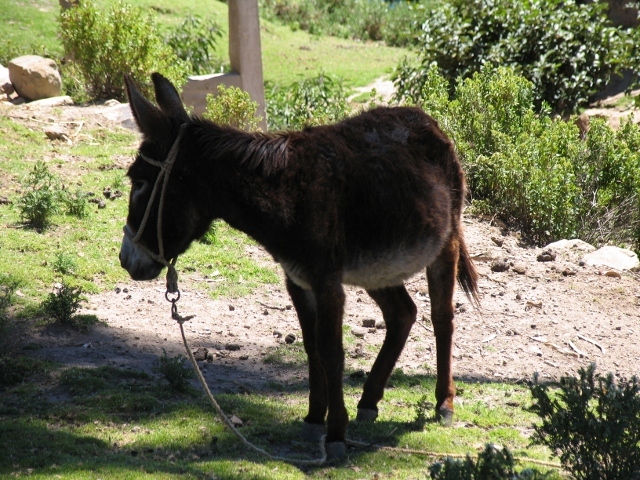 In fact, I just learned that donkeys won’t do anything unless they know that what they are doing is safe. They are “stubborn” out of an extreme sense of self-preservation. Perhaps it is that in the presence of Jesus, this colt realized that there was no harm in this man and he willingly offered his back to our Savior without trouble. Perhaps, like me, he offered resistance at first, but, in accepting the role he was meant to play, this colt made Jesus’ entrance into Jerusalem one of great fanfare. The most important part, I think is that he was never spoken of again. That is what we are called to do, especially as we enter into the great mysteries of this Holy Week. We must find the way that we are meant to share Jesus with the world and allow only him to be seen. We are just fulfilling the role God has made us to play. May we be courageous in responding like that colt. Denying our sense of self-preservation and giving our lives over entirely to His care.